To get very quickly to the point you want us to answer. No, you do not have to be an expert in online casino software to enjoy your online gambling. And, this guide will not tell you which of the casino software providers is the “best” – it’s a completely subjective measure, and in the current UK casino market, your own personal preference is the best guide to follow. However, we hope we will help you to become a wiser online casino consumer, and we’ll do what we always do: give you the knowledge you need to navigate your way around this exciting and engaging world. And to do so safely! In fact, that’s always our first and the last point – always play safely, for yourself and for your money! And, now we’ll make you the Yoda of casino software! What does casino software do? We can’t do anything without software these days. For some people, who seem to be stapled onto their smartphones this might be literally true in meatspace as well as online. But all of us online casino players are slaves to the software. As soon as you fire up a device a whole load of processes and processors kick into action to help you get the most out of your machine. And so it is in the online software world. You’ll use a browser – and we recommend you use a good secure one, maybe with some extra software installed to keep you away from dodgy sites, and certainly the latest updated antivirus installed. That’s your end of things. When it comes to casino play we generally divide software into two big piles: the games, and operating systems in which the games sit and with which you interact to navigate between games, deposit and withdraw cash, and contact the site. In reality, things are much more complicated than that. There may be multiple companies involved in all of these processes: help desks may use a chat client; payment processing almost always means using an outside service, whether it’s your bank’s payment system of an e-wallet. But the industry has put these things into those two big baskets, and that’s the easiest way to understand things. This is despite the fact that there is a very large overlap between companies that produce games and that produce the operator software. This makes sense, of course, and it raises something that is a problem not just in the casino industry but in capitalism in general. Those problems are monopolies and cartels and vertical integration. Again, don’t worry about these seeming like technical terms, and you don’t need to think about them too much as common sense is likely to give you all the answers you need. So if a company produces games, and also produces operating software, and you use their casinos… do you think you’ll be given a completely open playing field from which to choose games from all developers? It’s also true that casino software providers often run multiple sites that are not obviously branded with their name. This is fine, and many of them run as franchise systems, with relatively small businesses buying in a package from the casino software developers that they put their own branding on. This is why you see many sites offering the same games, the same bonuses, and the same promotions. It’s a particular problem in the bingo software scene, where newly branded sites pop up all the times that are really just the same site with new clothes on. It can also mean that once you’ve cashed in a bonus with one software provider, you might find yourself unable to claim another one at a site you thought was unrelated because you already have an account with that software provider. Casino gaming is a much bigger and badder – and perhaps better – universe than the casino operating software world. There are lots and lots of game developers, and the numbers keep growing all the time. The reason is that the barriers to entry for casino gaming software are relatively low. 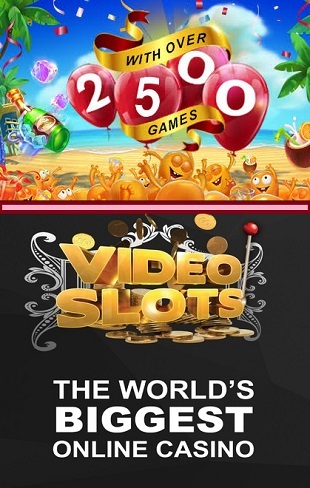 Modern online video slots look wonderful. Most of them also provide a fantastic experience to players. But in the context of what is possible with modern computer technology they are relatively simple, particularly in their operation, which amounts to little more than generating random numbers. We’re not trying to do down online gaming software developers here. There is a lot of great work going on in this area, and particularly among new developers who are willing to push the envelope with visual design and gameplay – a special vote to the wizards of Scandinavia. There’s also an interesting point about how the industry operates here. That is that there is a certain amount of consolidation going on. You’ll quite often see games credited to different companies at different review sites. This is no mistake, it’s usually a function of new partnerships springing up, with smaller games design studios being snapped up by, or working in some sort of partnership with, big companies – often the companies that make the most popular online casino operating software. Such relationships aren’t corrupt. We’re neither idiots – who believe that capitalism currently provides some sort of magical market mechanism that rewards the “best” products – nor are we idiots who believe in Santa Claus. However, it can be useful for players to know about these relationships, as they are likely to impact on their gameplay experience. Companies that have a good working model on game pay-outs or promotions might well bring that into partnership with a company that produces great graphics, say. And as we’ve mentioned, companies that run operating software may showcase games and promote titles to their members that are produced by companies that are in partnership with them. The second big basket of casino software is the operating software. This stuff is much more complex, and much of it is out of sight and out of mind for players. There’s no need to get too worried about this stuff. You really don’t need to know how it works to enjoy a good casino experience. It is a good idea to get a good idea of who the main casino software operators are, and what options you have when you choose online casinos. In reality, almost all of the online casinos you see will be using software from a small number of big software providers. This makes perfect market sense: once someone has gone to all the trouble of solving the big problems of managing the very complex set of operations (payments, help systems, customer service, and so on) that go to running an online casino site. These big companies operate on something like a franchise model, in which they provide the software to smaller businesses – you can even try to set up your own casino if you fancy it – who pay a licence fee and probably a slice of their profits to use the systems. In return for that, they get a fully functioning casino, stacked with games, probably with licensing attached and customer service support. Chief among the services provided by online casino software is the payment software. This will collect card details or e-wallet accounts and put the cash into the casino. Casinos must be licensed – never play at one that isn’t – and UK casinos must have a current, valid licence from the UK Gambling Commission. 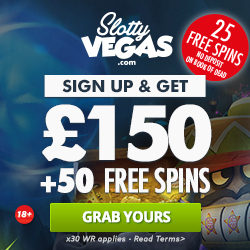 Players also – rightly – want to see a good customer service offering from their casino sites. All this costs money, particularly if you need to employ staff to answer phones around the clock. Last but not least, online casino software must work properly and be completely secure. Many of these functions will be handled by the software provider, and the casino owner is then left free to market, promote and brand their site. Some players find it frustrating that a sector that apparently provides almost limitless choice, is, in fact, slightly limited in this way. You can save yourself a lot of time wasting if you check out reviews that will tell you which software a particular site is running. If you hate Brand Z software then you don’t want to sign up at a site running it and stocking the games that come with it. There are other options. Some companies are big enough to run their own software. Others work with smaller, cheaper companies to produce a more no-frills casino. You might not find the range of games that you will in some of the bigger casino sites, but you are likely to encounter some more imaginative promotions and communication and maybe even a real sense of community. This is particularly true in the online bingo software world, where genuine communities have built up in chat rooms and there are a decent number of sites – particularly in the UK – that is genuinely independent or part of small groups. The truth is, it is expensive and complicated to set up a casino. Using existing software – even with the costs inherent in paying the software developer – is always going to be the most efficient option. New entrants to the market are not as uncommon as you might imagine; the online gambling world is something like a gold rush boom town at the moment, so there’s plenty of opportunities out there. There are also technological innovations in social gaming, mobile gaming, 3D and more graphics and so on to encourage new product and even company launches. Most casino software products are now interacted with by the customer in-situ on a website. The days of the download seemed to be in the past. Customers had shown pretty definitively that they preferred playing at sites with browsers than by downloading a big piece of online gambling software to their PC. However, the massive boom in mobile gambling has given the download market – in the shape of home screen apps – a big boost again. There are pluses and minuses to downloads, and you must consider carefully what works for you. Factor in the convenience of a single-tap gambling experience against the potential inertia of always going to the same site. 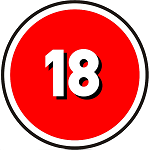 And don’t forget to only ever download official, approved, licensed and certified safe products. There is a huge and ever-growing world of online casino software. What we’ve covered here so far is largely online video slots-related. However, casinos are called casinos so it’s no surprise that they’re also full of classic casino games. That means that you’ll be interacting with baccarat software when you play that game, video poker software when you load up that game, keno software when you play that one and so on. The online casino software is more than just slots software. These games are becoming increasingly sophisticated, and more and more of them are now live-dealer games. That means that roulette software, for example, has to not just replicate something like a wheel spin’s randomness, it also needs to deal with cameras (perhaps many of them) and handle live interaction from multiple people, including staff members. Different games have different levels of complexity of course. Blackjack is a relatively simple game, even in its live streaming format, where it is often played as a one-on-one game. That means that online blackjack software can be relatively simple too and therefore relatively low cost. The game is – we think – genuinely popular, but its relative simplicity is undoubtedly a reason why casinos can provide many man blackjack games and just a couple of poker tables. As keen watchers of the online casino software world, our advice to consumers remains constant, as do our predictions for the future. Consumers don’t need to know all the ins and outs of online casino software, but they do themselves some favours if they do. Whatever their level of knowledge of the systems that run the games they play, they have only themselves to blame if they’re not properly up to date on how to spot a safe, legal site and how to manage their own gambling behaviour safely. When it comes to the industry we always predict there will be massive change! And that seems to be on the cards again – new technologies, new generations of older tech, new laws, new liberalisations of laws… it’s all happening all the time. We love it! We hope you do too!